Ad management of the future: The advertising process made easy. We are reinventing ad management. Easier. More efficient. More successful. With real innovations, such as a custom-made CRM architecture and the development of a completely novel booking platform that is independent of advertising channels. With deep know-how and a good feel for tomorrow's standards. And a service concept that's built around our customers' needs. For you this means: all tasks and processes in ad management will be made significantly easier in the future – regardless of the form of media or means of advertisement. Benefit from a leading-edge IT infrastructure, an experienced Management, a well-coordinated team and above all from our passion for first-class service. We're there for you – at our sites in Munich, Hamburg and Offenburg. Welcome to the AdTech Factory. Welcome to the future of ad services. We are developing ad services for the digital age. Ready for today's demands – and tomorrow's applications: Our bespoke, Salesforce-based CRM solutions immediately provide more insight to daily business. However, our unique booking and planning platform, currently in development, is the basis for completely new perspectives: for the first time, all ad management processes come together in one single app. And because we have a publishing background ourselves, we combine technological know-how with tons of industry experience. After all, only those who know what's best for their customers can offer them real innovation. For you this will mean: increased transparency of processes, easier handling and optimal exploitation of your revenue potential. Or, to put it simply: power to perform. The innovative Salesforce CRM system – user-friendly and custom-made for media companies. Customer appointments, publishing and editors' dates, events, etc. Four service areas, one idea: simplify complex processes. Ad management, print management, digital ad operations and technology – for our customers, working with AdTech Factory is worth it four times over: we'll support and relieve you, wherever and whenever you like. Above all, ad management does one thing: work. And that's what we relieve you of, providing you with a true one-stop shop experience. Simply be more efficient – with AdTech Factory. Simply simpler: We'll do the commercial order management of ad campaigns for you. Whether dealing with an external ad request, acquiring and billing barter or in-house ads, in print or digital – we'll take care of it for you with 100% reliability. Your advantage: better quality and higher productivity. Simply exact: Even the settlement of campaigns and annual agreements are no trouble for you anymore. We'll take care of the settlement of non-tariff agreements with your customers and agencies, also several times a year if requested. In a professional, well-versed and accurate way. Simply smarter: We'll take on your master data maintenance and management for all your ordering business partners as well as all advertising vehicles and forms – print and digital. For you this means: data control and quality – comfortable, secure and reliable. You are in control and we will do the job for you. Whether flatplan or ad specials, if it's about print, we're always in our element. Simply more effective: we develop magazine structures with you and take on the page layout and title planning. We place ads and reserve ad placements, create the final advertising vehicle and make sure that all required printing data are supplied. Simply more impactful: with our ad specials and innovative “First Movers” your brand and campaign are guaranteed to get more attention. Perfectly conceived, created and implemented for more success at first glance. Simply experienced: our digital workflows make it possible for us to edit print data in a standardized and automated way per individual title. With our repro team’s visual inspection, a print-optimised result is ensured. Operative and technical advertising space management for digital media is becoming increasingly more complex. So, it's good if you have someone by your side with savvy and over 15 years' experience with classical and programmatic digital marketing. We will take care of your growth areas. Simply more comprehensive: we take on the whole process of managed digital campaigns, from inquiries of availability, implementation and technical inspection of the advertising material, to campaign optimization and monitoring, and creation of screenshots and reporting. And as communication is always more personal offline, we also look after one-on-one agency and advertising customer care. Simply connected: technology is the backbone of digital marketing. We pool competence and know-how for the selection, implementation, maintenance and further development of all used technologies and our own development resources – throughout the entire tech stack. 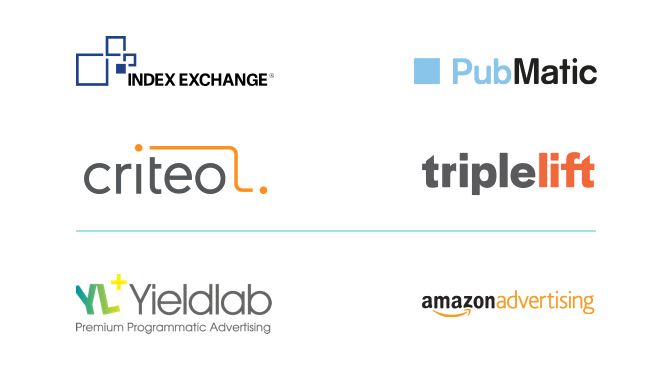 Simply holistic: AdTech Factory Digital capitalizes on an integral, holistic set up – every single impression is monetized as much as possible. Programmatic ad sales is possible via Exchange Bidding and Header Bidding. Buying can be made via Open Auction, Private Auction, Preferred Deals or Programmatic Guaranteed. Simply feasible: we implement technological pilot projects with you in order to capture your goals, existing technical infrastructure and specific demands. For a reliable project design and cost estimation. Simply good to go: in this phase of the project, the technical implementation takes center stage. With detailed recording of your specific requirements and a good understanding of the target processes, we create the prerequisites for a smooth implementation of your integrated Salesforce CRM solution and the connection to our booking platform. Simply there: we provide answers to all your questions on use, improvements and troubleshooting. We increase the acceptance and adoption of the new systems and processes with on-site trainings, workshops and regular "consultation hours." Simply keep going: in order to continuously optimize the CRM system and processes, we support our customers with the implementation of new requirements. We work agile in SCRUM development teams. Progress is transparent and the development blocks are controllable for the customer. The platform is constantly being expanded, particularly concerning the representation of new business models in media. a glimpse into AdTech Factory. "Even coincidences are contractually regulated by me." What does Benjamin do at AdTech Factory? He wants to know it all, and that’s a good thing. In his position he looks after the creation, settlement and supervision of the annual and agency agreements. You can only do that with extreme calmness and absolute meticulousness. Julia specializes in Ad Specials. She looks after everything that goes beyond regular and conventional ad formats. Taking unconventional communication routes is great fun for Julia – you can see it in her face eight hours a day. "Zodiac sign: Leo, ascendant: Grumpy Cat." Thomas coordinates the workflow and processes in digital ad operations and is responsible for the handling of digital projects. That sounds like "a lot on his plate" – and it is. In his free time, the Master of Business Administration doesn't do mornings, but is a passionate model builder and Scandinavia fan. And in the future, he might even get a pet cat. Rebecca and her team manage all the in-house advertising campaigns for the world of Burda. They passionately ensure that individual and corporate adverts are always perfectly positioned to reach the target group. "It's a shame that perfection ends at 100%." He who is product representative for our in-house developed Salesforce solutions needs savvy and the ability to keep cool, even when the situation heats up. Frank's trips to the North Sea help him in this endeavor, and his tendency of finding the perfect solution helps him with the rest. Best example: his Beagle Pepe. He's the most well-behaved dog at AdTech Factory. "I make sure it goes click for our customers." How do you actually get the best out of an online campaign? Quite simply: you have them optimized by Halyna. Best of all with calmness, patience and analytical skills - good that those are all great strengths of Halyna's. On vacation though, she likes it less calm, her favorite city New York proves that. When it comes to capacity planning and placement, nobody beats Axel. Our clients also swear by his experience, expertise and solution suggestions. What helps him do this? A consistently good mood and four cups of coffee a day. "Why just simple, when it can be even simpler?" When Andrea is involved in a project, everything becomes simpler and less complicated: as part of the Development Team, she is responsible for ensuring that all processes desired by the customer are integrated in Salesforce and are designed in a user-friendly manner. And Andrea likes it simple in life as well: she's an early riser, black tea drinker and Asia aficionado. These clients are already benefiting from the advantages of AdTech Factory. what we do with passion and success. The one who shapes the future, has a lot to do. That's why we're always looking for good people who want to create new things with us, inspire others or just want to do a really great job. We are a team of 90: open, uncomplicated, not thinking in hierarchies, working flexibly and knowing our family and friends well...not just from photos! Do you want to be part of our team and hit the ground running with us?